Albanian striker Refik Resmja still holds a formidable record for top level soccer. During the 1951 league season he scored an amazing 59 goals for his club, Partizani Tirana. While playing only 23 matches that season, his 2.57 goal average is better than anyone else scoring over 50 league-goals in one season. Resmja didn’t score in six league matches, and didn’t play on three occasions. That leaves him with 59 goals in only 23 matches, an average of 2.57 goals per match. Much better than Scottish American Archie Stark, who bagged in a world record of 67 league goals in one season for Bethlehem Steel in 1924-25. His average is 1.52, as he played 44 league-matches. Lionel Messi’s 50 goals in 37 matches in 2011-12 only gives him an average of 1.35. Resmja never again came close to his own record, mostly scoring 15 to 25 goals a season in het following decade. He did win the top scorer title eight times, won the national cup four times and was champion of Albania seven times (1954, 1957, 1958, 1959, 1961, 1963, 1964). 77 : 10 = 7.7 for Partizan, 60 : 6 = 10.0 for Dinamo, so Dinamo were declared champion. The same ‘mistake’ was made in 1952, when again Dinamo had a worse goalrecord (74-9) compared with Partizani (96-15), but were pronounced champion using the same reasoning. Resmja was an prolific goalscorer during his entire career, amassing a total of 180 league-goals. Probably even a bit more, as not everything is well documented. Despite this achievement, he isn’t considered the best striker ever of this tiny country in the Balkan Peninsula. That would be his Partizani teammate Panajot Pano (1939-2010), who in 2004 was chosen by the Albanian FA as their Golden Player. Internationally Resmja wasn’t very successful. The national team in those days only played friendly games, giving him a total of just five caps with one goal (in a 2-0 win against Poland). 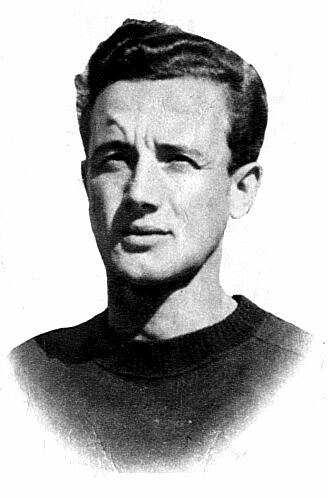 With his club Partizani Resmja did surprisingly win silver medals at the Spartakiada 1958 and 1963. In 1958 this tournament was held in Leipzig and had only army clubs from communist countries as participants. Partizani first won against The Cong Hanoi (Vietnam) 5-1 (Resmja scoring two goals), then beat CCA Bucarest (Rumania) 1-0. In the quarterfinal Resmja scored the winner in a 1-0 victory over Czech Dukla Prague, and Vorwärts Berlin from East-Germany were beaten 2-1. So Partizani was in the final, but lost against Bulgarian side CDNA Sofia (0-1). Five years later, Partizani copied that success in Hanoi, Vietnam, winning against CDNA Sofia (2-1), Honved Budapest (4-0! ), Vorwärts Berlin (3-1), and again Honved (this time 1-0) in the semifinal. In the final CSKA Moscow beat them 2-0, after extra time. Resmja played until the final, but didn’t score. In his place, the new idol Panajot Pano made four goals. Seven months later Resmja ended his soccer career, 33 years old. Refik Resmja died September 6, 1997.